Length: 19 hrs. 19 min. If you value the timeless KJV translation, this audio recording offers a rich listening experience. 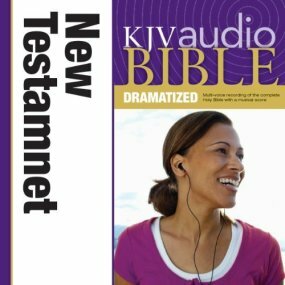 This digital download of the New Testament of the Bible allows Scripture to surround you with world-class multiple voice narration and original music and sound effects. This dramatized Bible engages the ears, the imagination, and the heart.